We address concerns and problems posed by the presence of asbestos material in buildings, marine vessels and machinery. Asbestos containing material can have a serious impact on a facility’s renovation, demolition or maintenance operations. OESN utilizes a team of experts with experience to assist in the proper control of hazardous material. The various services related to asbestos are outlined below. We offer several services to assist building owners and contractors complete asbestos abatement projects with confidence. Our organization uses the combined expertise of our personnel in construction, engineering, project management and occupational hygiene to produce specifications for all aspects of asbestos remediation and control. This service provides useful assistance in any renovation, demolition or mechanical upgrade project. In order to ensure occupant safety, quality assurance and compliance with governing specifications and regulations, it is vital to provide on site inspection and air monitoring during asbestos control activities. Project monitoring activities include inspection of the enclosure, decontamination facility, equipment, negative air pressure, dust suppression, worker protection and final cleaning of the work area. Inspectors at OESN possess technical training and field expertise in monitoring all scales of projects. The control and identification of asbestos is mandatory under most provincial regulations in the event of renovation, demolition or even maintenance disturbance. OESN provides surveys for long term asbestos management, regulatory compliance, preparation for specification, and property transfer evaluation. OESN uses an algorithmic based Weighted Hazard Control System to provide a consistent hazard rating evaluation on the identified asbestos materials. 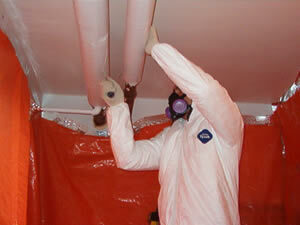 OESN is renown for its detail and accuracy in their asbestos survey documents. 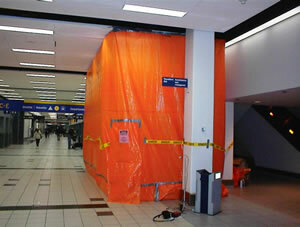 Under most provincial and federal regulations asbestos management programs are a requirement for asbestos control. OESN has prepared numerous management plans for private and government based clients to meet compliance needs. OESN’s skilled management planners provide a useful maintenance tool to assist in the control of asbestos for clients so that regulatory compliance is used as a benefit, not as a burden.